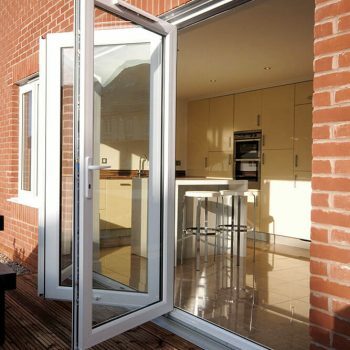 We offer these impressive doors in both uPVC and aluminium to give you the best choice for your home. 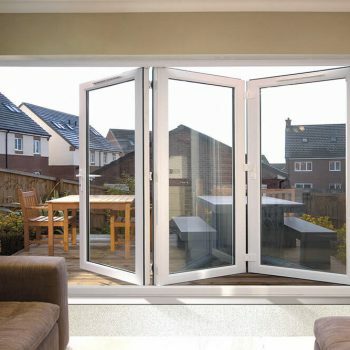 Bifolding doors have a concertina opening configuration and the doors stack on one side. 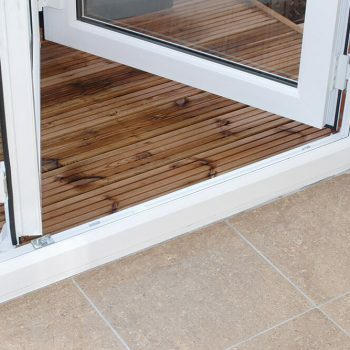 This allows you to fully open up your home and doesn’t take up any of your valuable space on either side of your door. 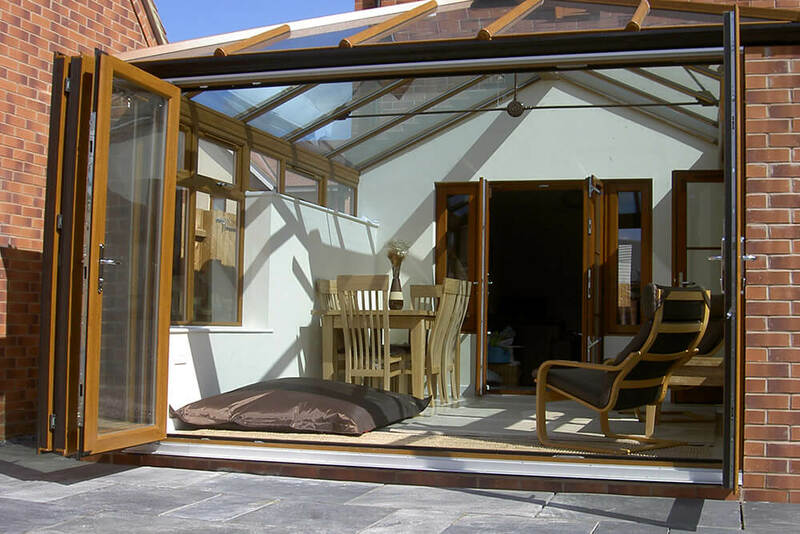 When opened they create a seamless open-plan feel between your home and garden which makes them perfect if you’re regularly entertaining. 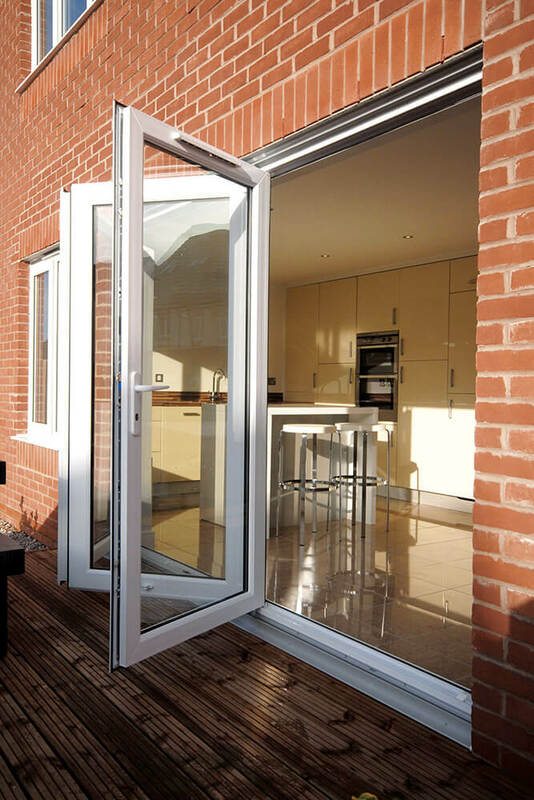 Secured by Design accredited with multi-point locking mechanisms, you don’t have to compromise on security when choosing a stylish door. 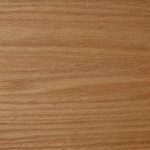 Choose anything from two to six panels which come in 13 opening configurations; whatever suits your home best. 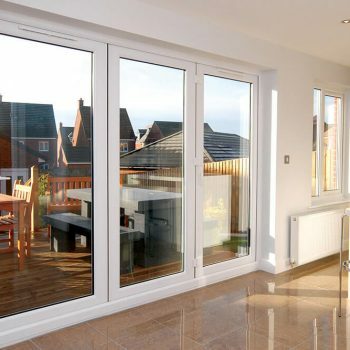 With slim sightlines and large glass panels, the views bifolding doors offer are second to none. 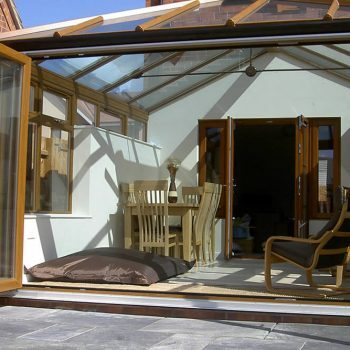 Enjoy admiring your garden all year round and fill your home with light. 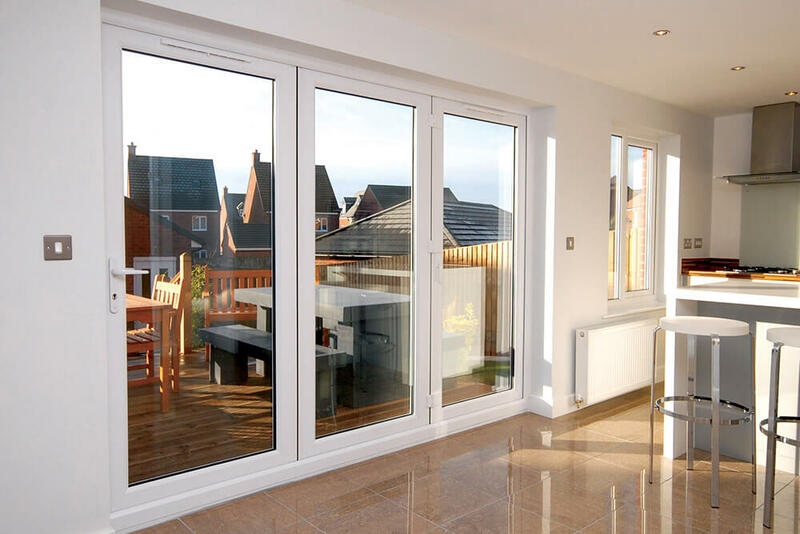 Our aluminium bi-folds come in a range of colours including black, grey and white and you can even have a different colour on the inside to match your décor. 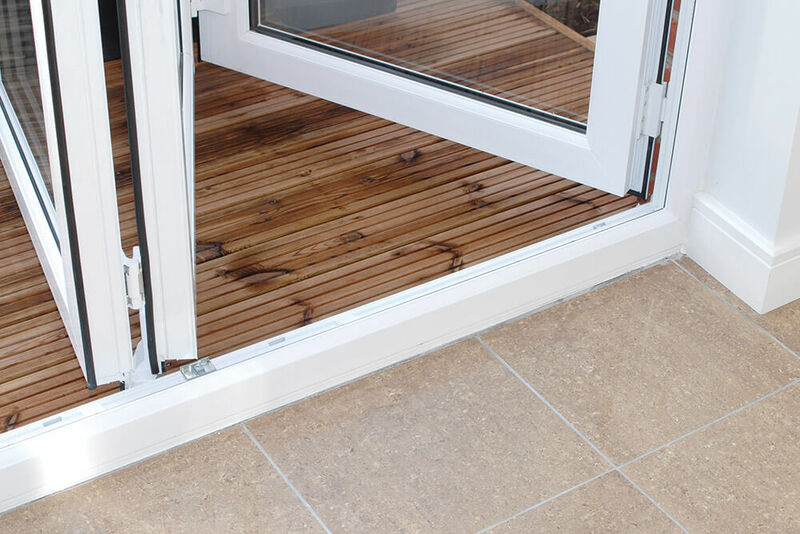 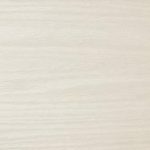 Our uPVC bi-folds come in a variety of finishes including woodgrain effects such as Golden Oak and Rosewood. Get in touch to see our full range of colours. 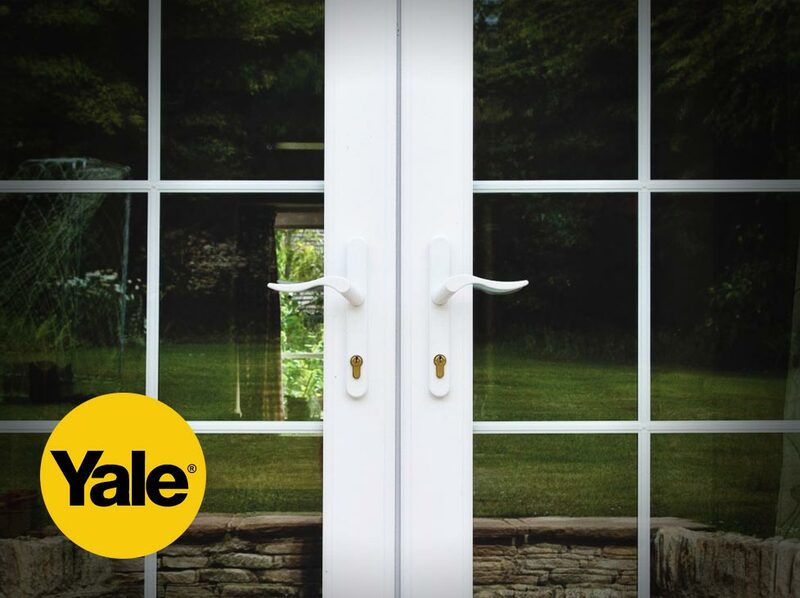 Choose from white, black, gold or chrome handles that make opening your new doors a breeze. All our doors come with Secured by Design accredited Yale locks that have been thoroughly tested to give you peace of mind. 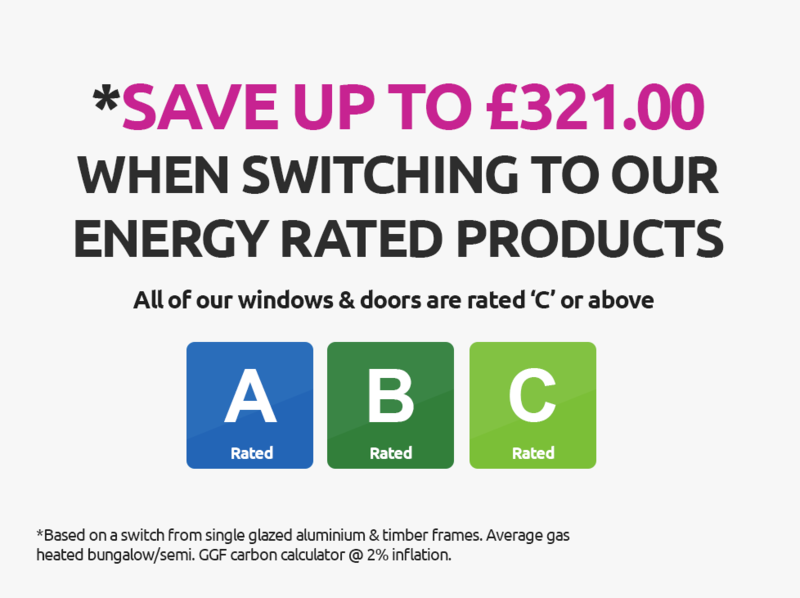 Both aluminium and uPVC will keep your home comfortable all year round, helping to keep your energy bills low. 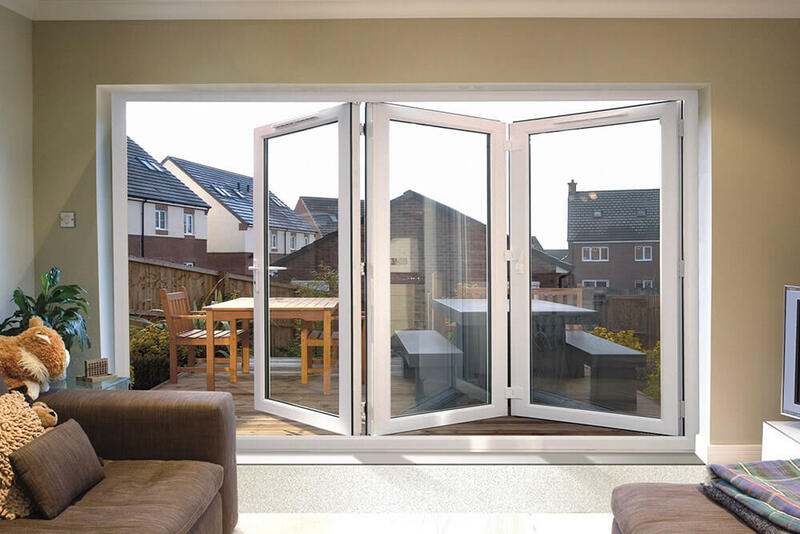 With a potential U-Value of 1.1, when combined with efficient glazing, these doors provide more than enough thermal insulation to keep draughts away.